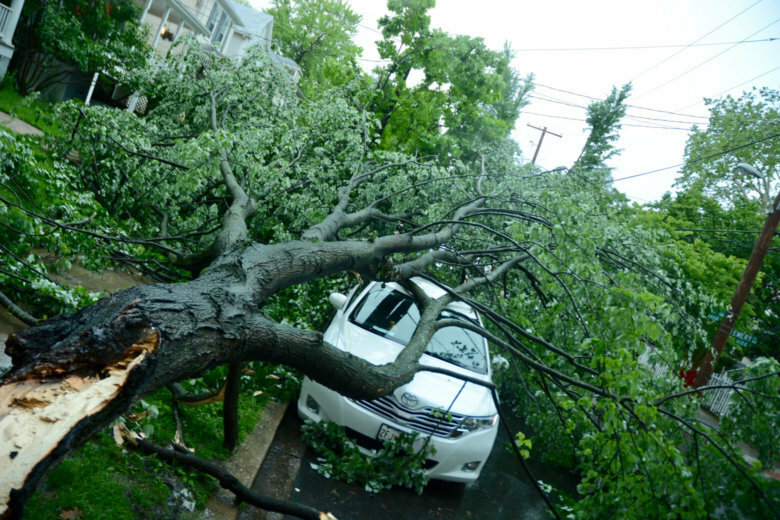 Thousands of people are without power as powerful winds pummeled the D.C. region overnight, downing trees and power lines — and may even have spawned a few tornadoes. 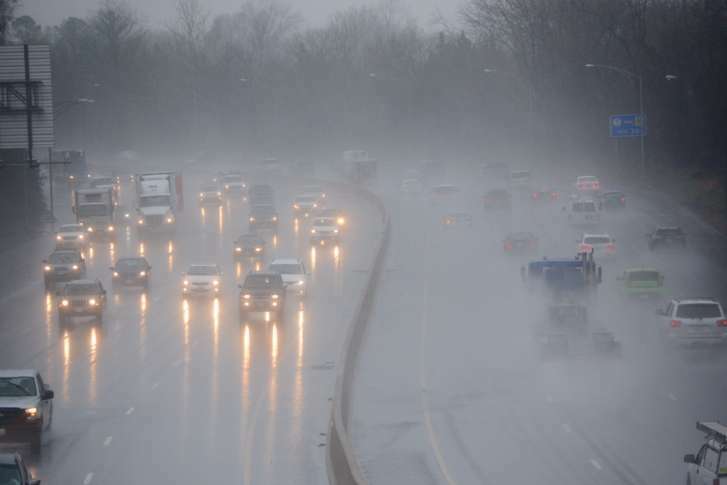 The National Weather Service has issued a tornado watch until 3 a.m. for much of the D.C. region, including Maryland and Virginia suburbs. Severe storms Sunday night into Monday morning could bring damaging winds, blinding rain, hail and possibly isolated tornadoes. Here’s what you need to know. 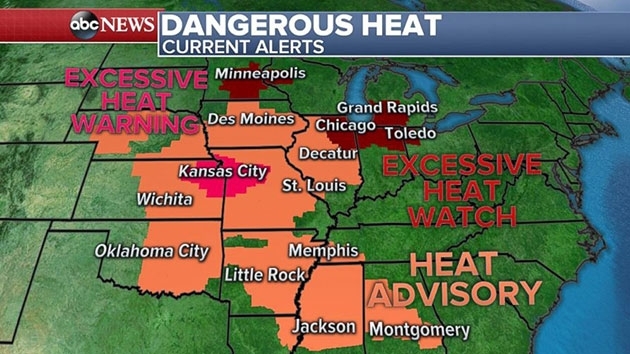 After a sweltering dayslong heat wave, wet weather is on the way for the weekend — and beyond. Strong thunderstorms are moving into the Northeast Thursday morning before some of the hottest temperatures this year, beginning Friday. Storm Team 4 meterologist Matt Ritter says that not all areas will see storms, but those that do have the potential to deal with gusty winds and large hail. 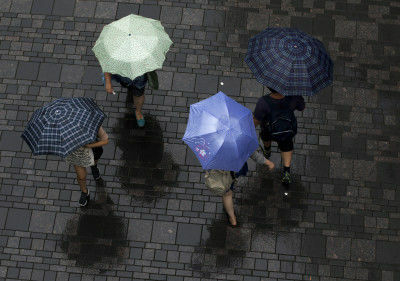 A band of strong thunderstorms, including gusty winds, lightning and heavy downpours swept into the region Tuesday afternoon. At one point, most of the WTOP listening area was under a Severe Thunderstorm Watch. By 8:20 p.m. the National Weather Service removed all remaining counties from its Severe Thunderstorm Watch. 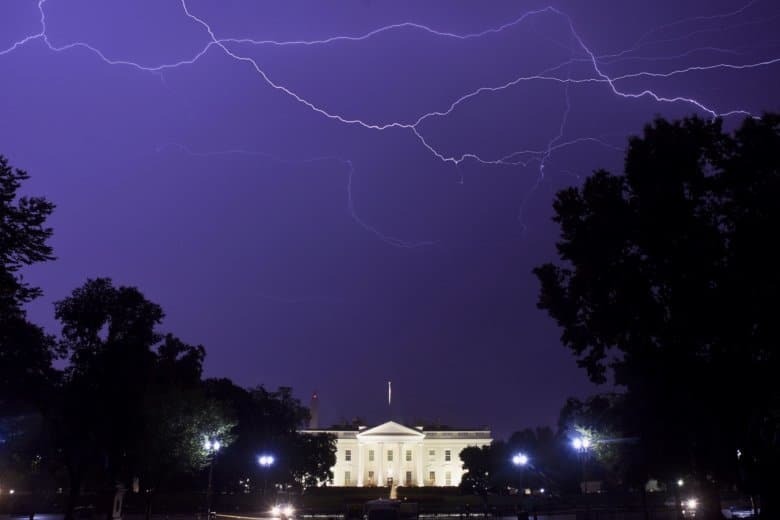 Severe weather barreled through the D.C. area Monday evening, bringing strong winds, flooding and hail. Strong to severe storms closed out the weekend and there’s an unsettled, rainy forecast for the rest of the workweek. Temperatures were in the low 90s on Saturday. 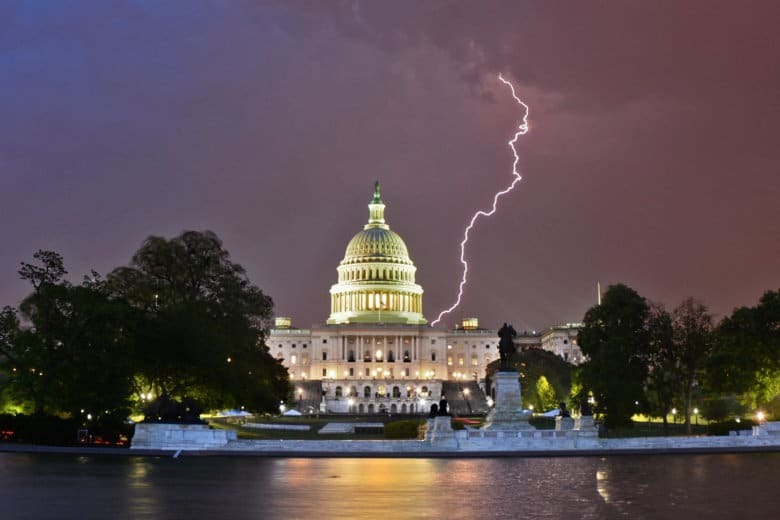 That heat, along with a cold front just to our north, was the perfect stew for the severe weather that hit parts of the D.C. area. 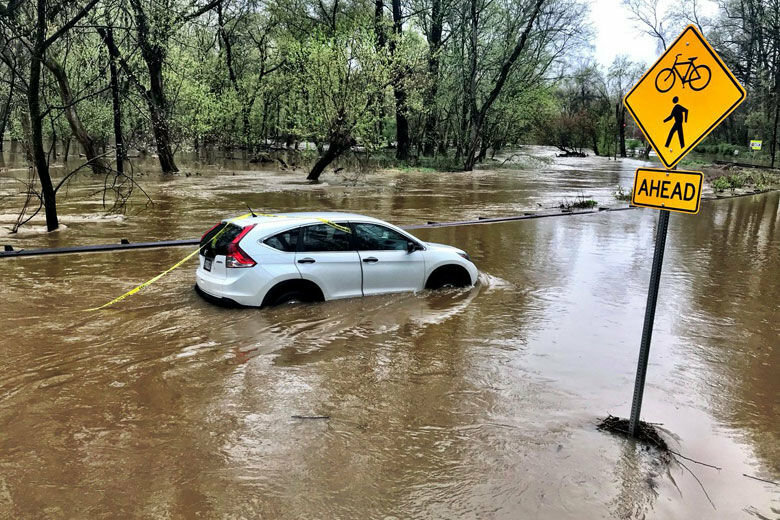 Roads are being cleared, but the heavy rain Sunday night and Monday morning caused many problems in the D.C. area, including blocked roads and half-submerged cars. 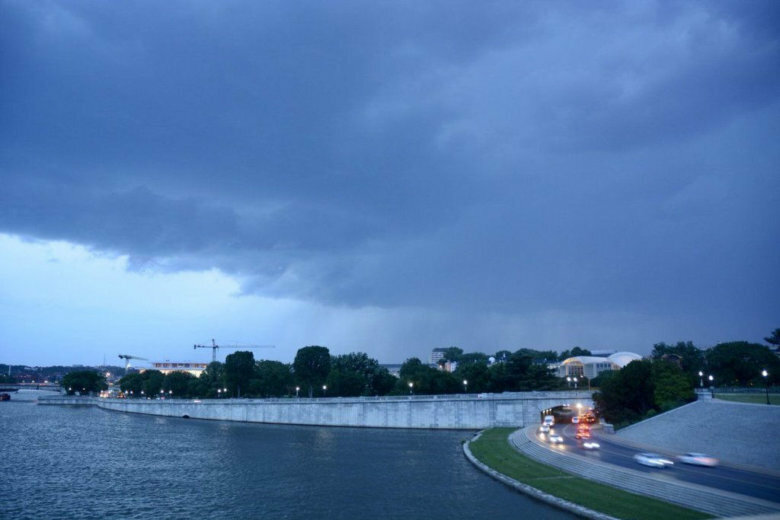 Thunderstorms gave way to localized flash flooding Monday and caused large pools of standing water in the D.C. area. 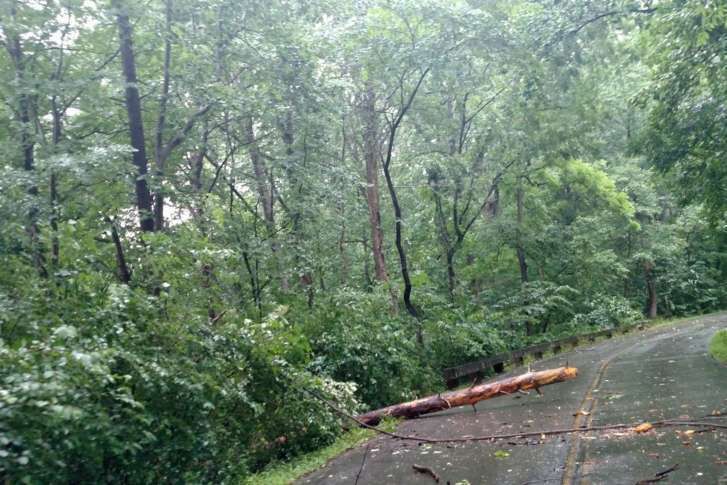 A line of severe thunderstorms blew through the D.C. area Monday afternoon, toppling trees, dumping rain and causing power outages. 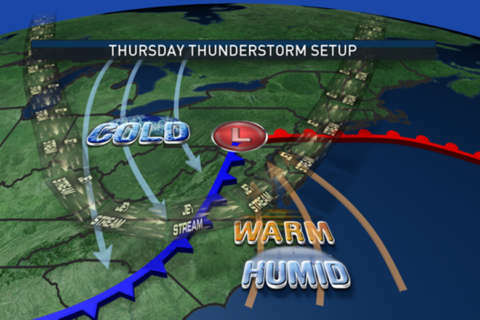 The WTOP listening could be in for some strong thunderstorms Thursday. There are several ingredients to the forecast that could enhance the potential for strong storms. Find out what you should watch for from Storm Team4 meteorologist Matt Ritter. 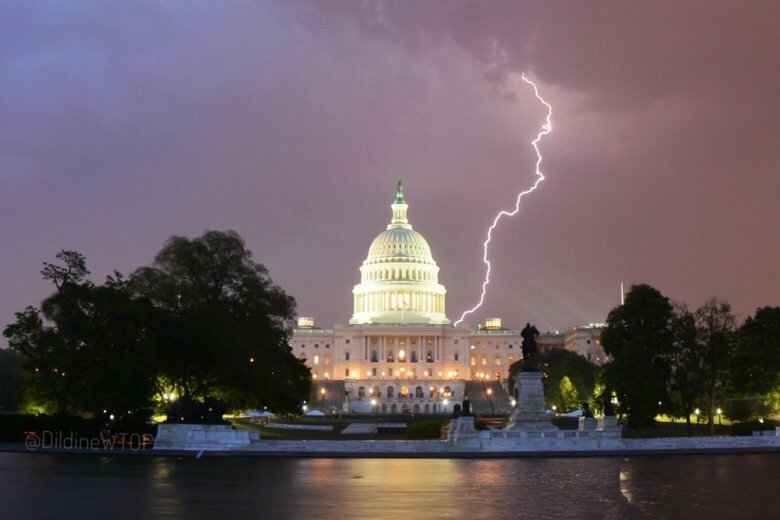 Thunderstorm that rolled through the D.C. area Monday afternoon knocked out power to customers across the region. Pepco is bracing for the next round of bad weather set to hit the area Thursday night, beefing its staff ahead of the storms. In the meantime, they’re asking customers to prepare for outages.